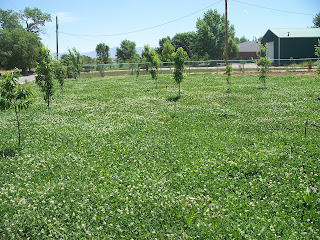 New Zealand White Clover is used as green manure as it fixes up to 170 pounds of nitrogen per acre. Excess nitrogen is released into the surrounding soil where associated plants use it for growth and development. 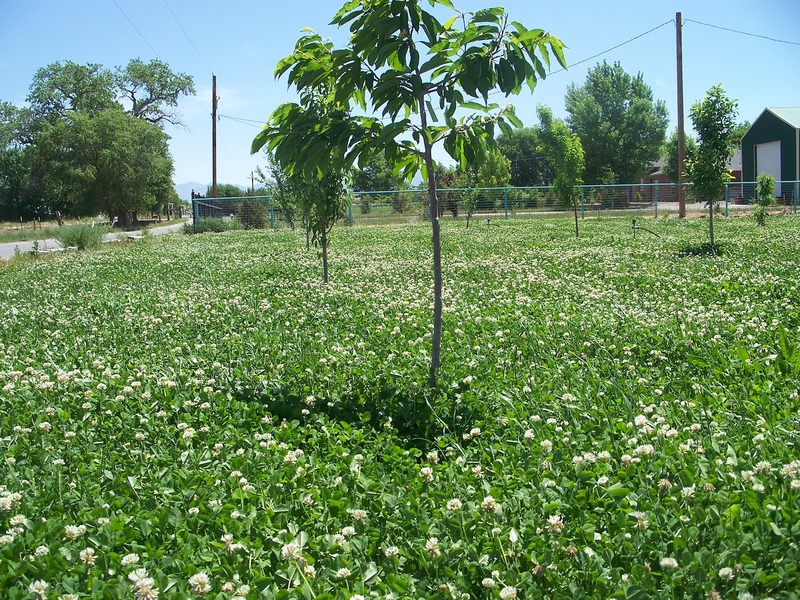 Local Orchards, Valencia County Extension Service, and Homeowners use New Zealand White Clover under their orchards or vineyards to provide natural organic nitrogen and eliminate the need to buy inorganic nitrogen fertilizers (photo). Reminder also, that a field of clover is just enjoyable to view, smell, and search through for lucky 4-leaf variations. 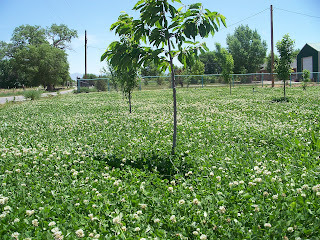 New Zealand White Clover will grow on most soils but requires regular moisture for growth. This is one reason it is well suited as an orchard or vineyard cover crop because fruit crops require regular moisture for production. 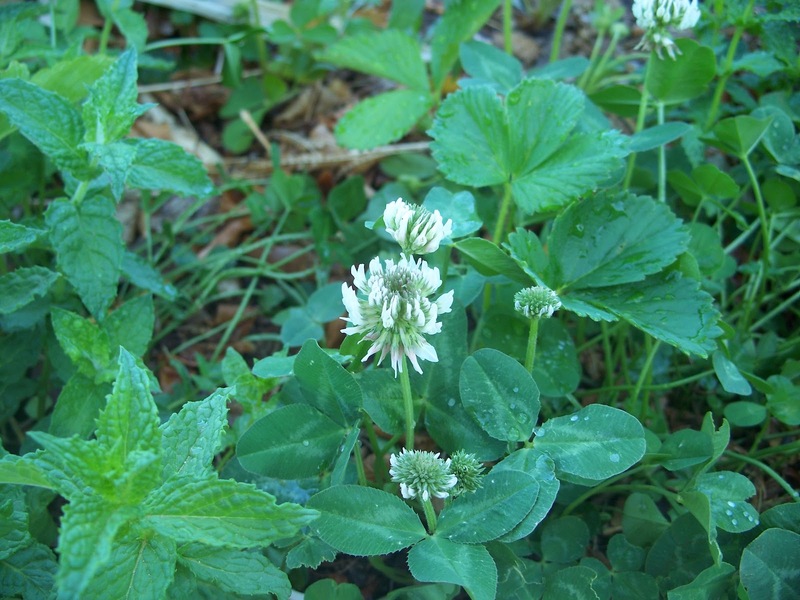 Leave clover un-mowed in late summer or early fall so that this added bulk can act as an insulator through the winter months. 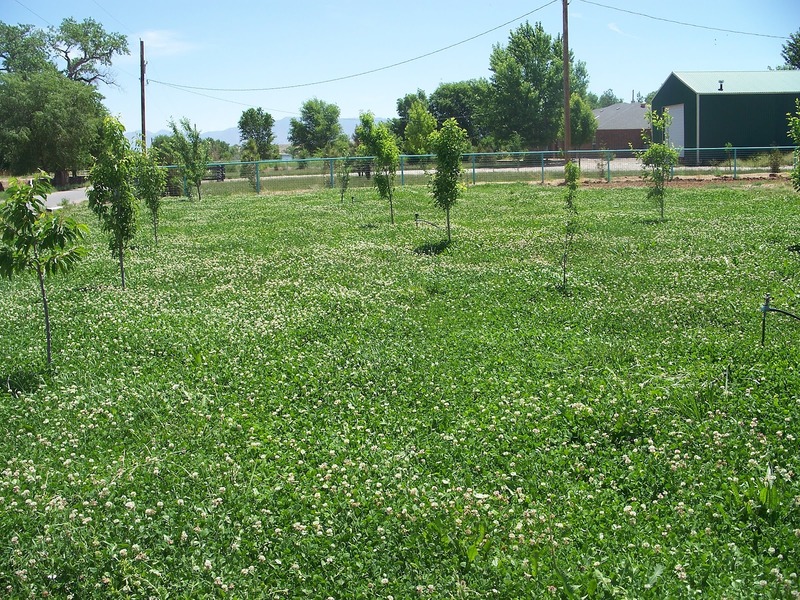 Trees That Please Nursery has both White Clover and New Zealand White Clover available for planting as an orchard cover crop. Contact the nursery for more information and pricing.